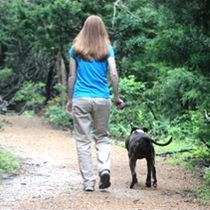 From now on Dogwood Canyon Audubon Center will open up our trails every Saturday to you and your furry friends. All we ask is that you please follow our basic rules: use a leash, clean up your mess, and have fun! Dogwood Canyon is located at 1206 W Fm 1382, and is open from 9 am - 5 pm. For more information contact Dogwood Canyon at 469.526.1980 or via email.